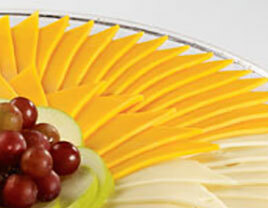 Visit our Cheese Store to experience fresh string cheese made daily. 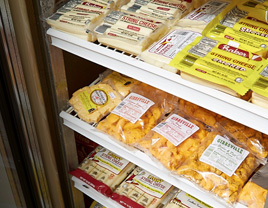 We also have over 100+ varieties of other cheeses from the best cheesemakers in Wisconsin. 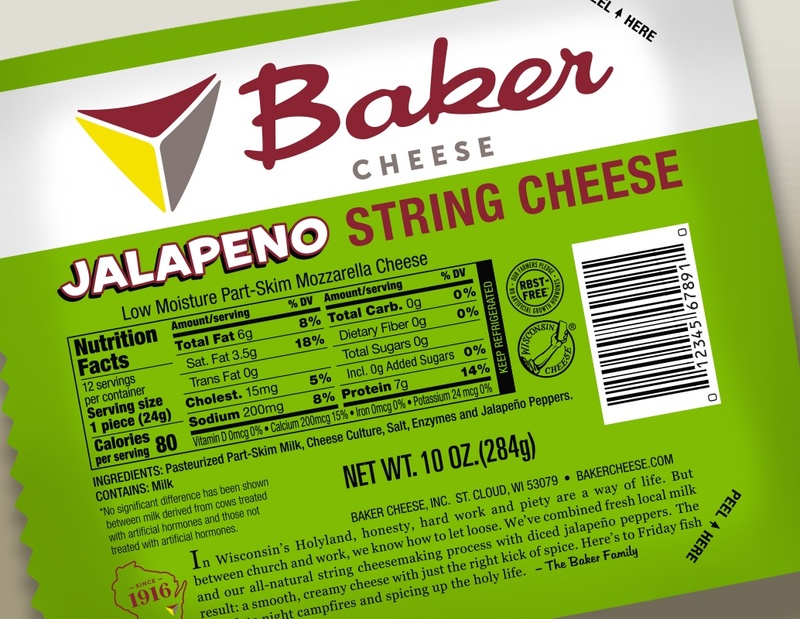 We’ve combined the freshest local milk and our all-natural string cheesemaking process with diced jalapeño peppers. The result: a smooth, creamy cheese with just the right kick of spice. Here’s to Friday night fish fry’s, late night campfires and spicing up the holy life. 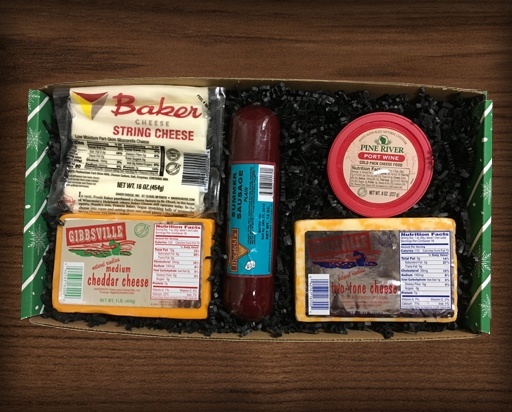 If you can’t make it to our cheese store, we also ship both our string cheese and gift boxes to almost anywhere in the United States. 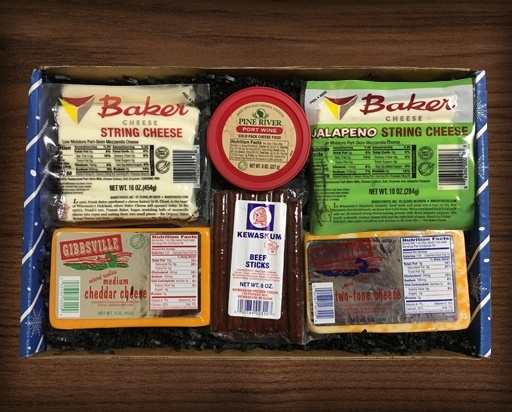 So call today and experience Baker Cheese first hand! Please note, during the summer months shipping availability will be weather dependent to ensure the best quality product. Available in 1-5 pound non-sealed packages. 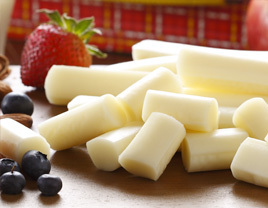 Bite sized string cheese perfect for your party, roasting over a campfire, or as an appetizer. 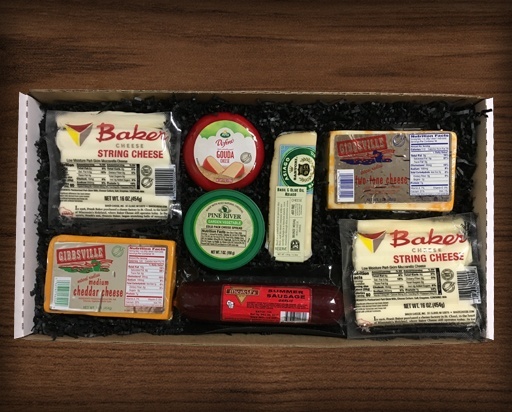 With the finest selection of Wisconsin cheeses, let us put together your cheese tray for your next party. 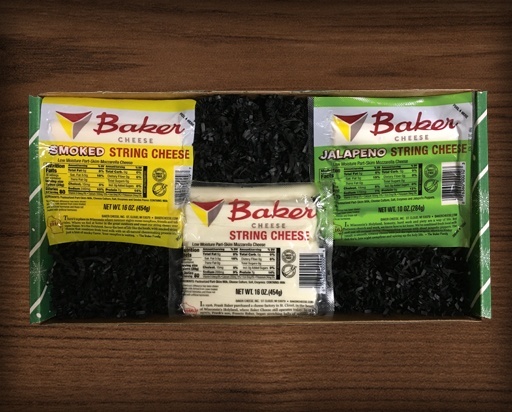 Oh, and the centerpiece is our fresh Baker String Cheese Nibblets. 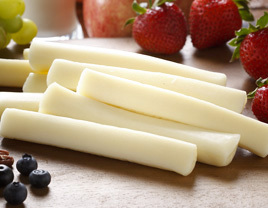 Regular, Light and Smoked String Cheese available in a variety of packages and serving sizes. If you are driving from Milwaukee, take Highway 43 north to Highway 23 west. Turn left on County Road G. The Cheese Store is about 3 miles. If you are driving from Green Bay, take Highway 43 south to Highway 23 west. Turn left on County Road G. The Cheese Store is about 3 miles. If you are driving from Madison, take Highway 151 North to Highway 23 East. Turn right on County Road G. The Cheese store is about 3 miles.